Massive volcanic eruptions could cause localised warming that might destabilise some of the world's biggest ice sheets, according to new research from Durham University. Scientists investigated links between very large volcanic eruptions and polar temperatures during the last Ice Age. Their findings suggest that some periods of Antarctic warming between 30,000 to 80,000 years ago were triggered by huge volcanic eruptions in the Northern Hemisphere that caused a shift in the world's weather patterns. The Northern Hemisphere cooled as volcanic particles reflected the sun's heat, forcing warmer weather fronts south which led to warming in Antarctica, the researchers said. Conversely, their research suggests that Southern Hemisphere eruptions could also have triggered abrupt warming in Greenland during the last Ice Age. The Durham team said their findings showed that the potential effects of eruptions should be considered when predicting future climate change. Previous research shows that there were several episodes of rapid and substantial Greenland warming of around 10C during the last Ice Age. Such a rise could potentially have catastrophic consequences for the Greenland ice sheet and sea level rise if this were to happen today. Lead author Dr James Baldini, in Durham University's Department of Earth Sciences, said: "Although this might not be an immediate threat, we should consider this new perspective regarding the effects that very large volcanic eruptions might have on future climate change. 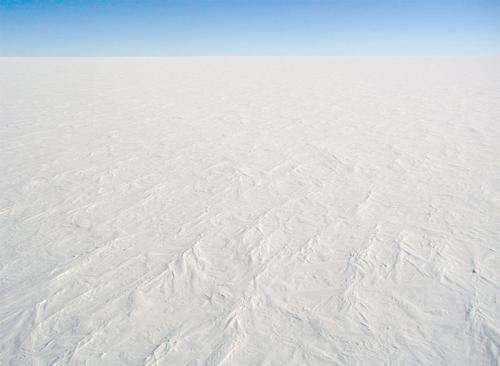 "Current climatic background conditions are different now than they were during the last Ice Age as there are no large Northern Hemisphere ice sheets to amplify the effects of the original eruption. "However, man-made greenhouse gas and sulphate emissions since the Industrial Revolution have already had an effect on weather patterns. "We have to consider the reality that a large volcanic eruption could add to this problem in an unexpected way. "For example, a large Northern Hemisphere eruption producing even only moderate Antarctic warming, when combined with an already unstable West Antarctic Ice Sheet, could have very serious consequences." The latest study used previously published climate and volcanic eruption records to introduce the possibility that warming in Greenland was caused by very large Southern Hemisphere volcanic eruptions. Similarly large volcanic eruptions in the Northern Hemisphere led to Greenland cooling, pushing weather fronts to the south and leading to temperature increases over Antarctica, the researchers said. The researchers examined data from previous studies looking at ice core samples and stalagmites that provide a natural record of changes in temperature and rainfall patterns over long periods of time. They found evidence suggesting that changes in the position of weather fronts were associated with volcanic eruptions. For example, the Northern Hemisphere Toba super-eruption about 74,000 years ago seems to have initiated substantial cooling in Greenland, warming in Antarctica, and a southward movement of the tropical rain belts. Dr Baldini added: "Previous research on very large eruptions suggests that they would result in global cooling, but our results suggest an extra layer of complexity. "Although globally averaged temperatures would drop overall, this could be combined with warming in the polar regions in the hemisphere opposite the eruption, as well as a major disruption of low latitude rainfall patterns." True super-eruptions only occur once or twice every hundred thousand years, with the last known super-eruption happening in New Zealand about 26,000 years ago. Such eruptions are 100 to 1,000 times larger than the eruption of Vesuvius which destroyed the Roman city of Pompeii. However, somewhat smaller eruptions occur more frequently, with at least one very large eruption happening every thousand years, and these were considered in the study. Large volcanic eruptions will cause a lot of instability, not just to ice sheets.